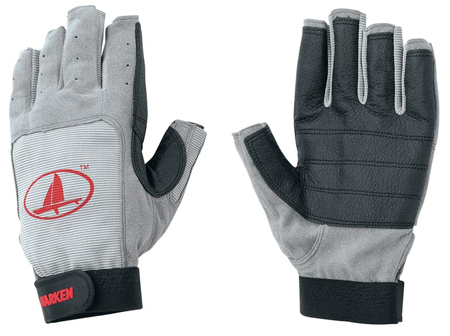 Harken’s Sailing Gloves are ideal for Spectra and Kevlar lines and to ease the strain on your hands. The double thick palm material sticks to line with 50 percent more holding power. The back of the hand is a Nylon Spandex mesh for flexibility and comfort, therefore creating an excellent fitting glove. Gloves dry soft so they are ready to go for the next session with minimal shrinkage - now that’s good news!